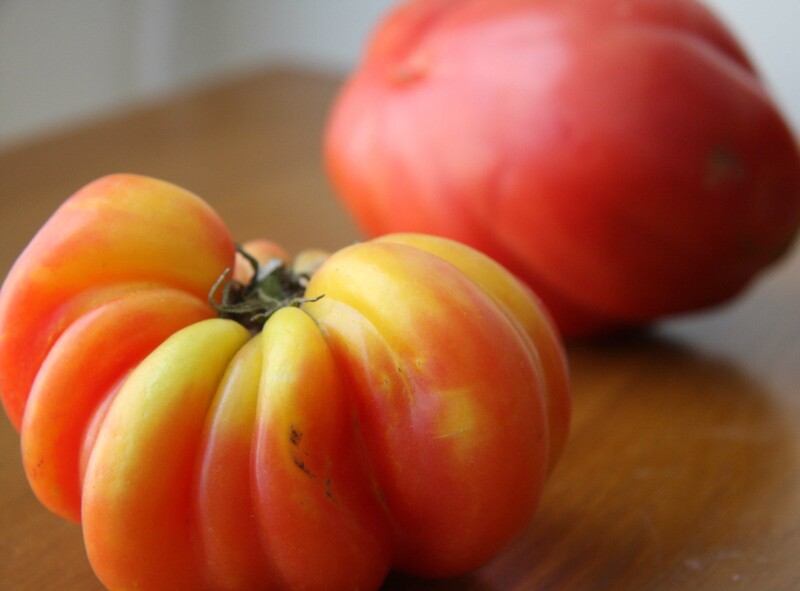 There is nothing like a fresh local heirloom tomato in the summer. Nothing. They have such a bright, luscious flavor. 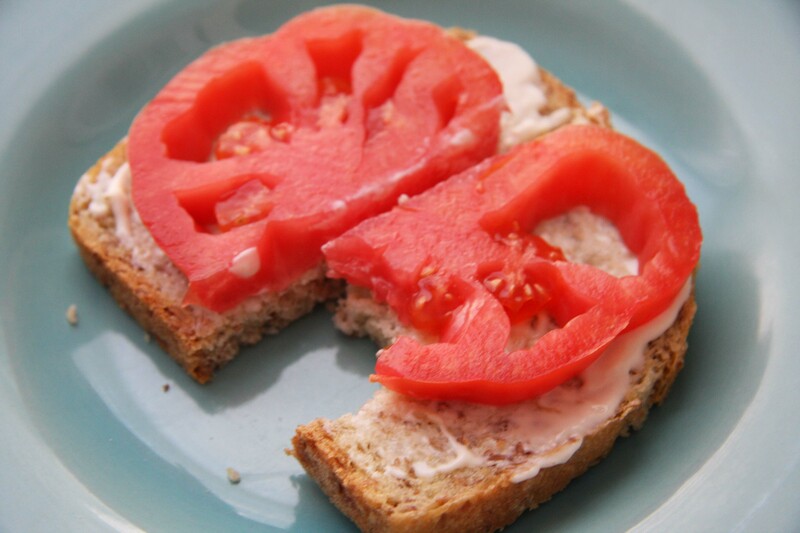 My favorite summer lunch is a simple open-faced sandwich made with a piece of good whole grain bread topped with a little mayo and a thick slice of heirloom tomato. It is so divine. 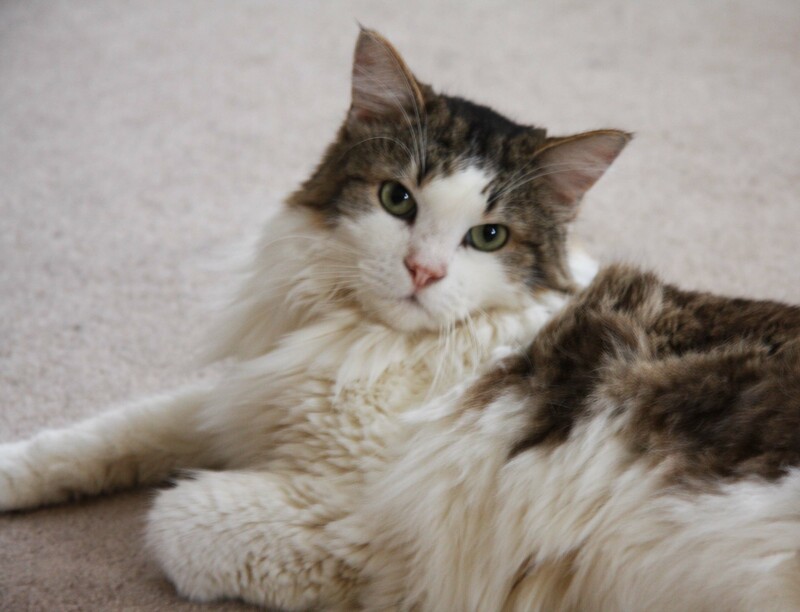 Still the cutest cat ever! I love cereal. I mean really love it. 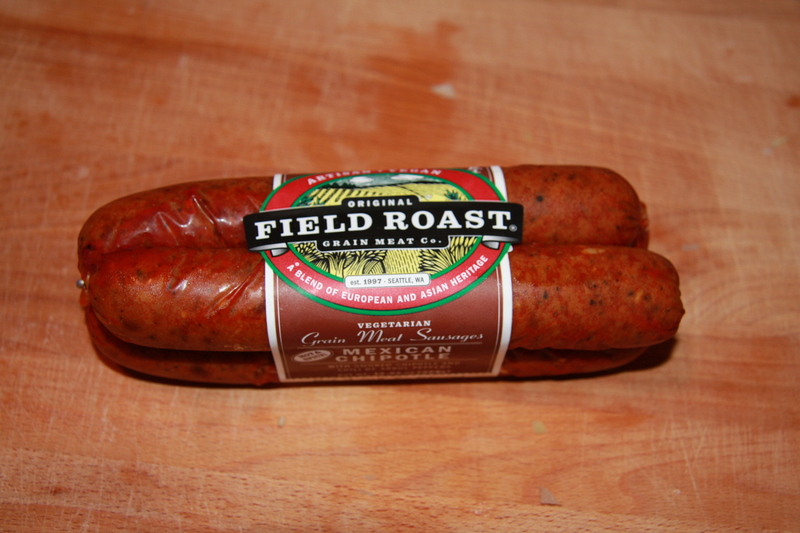 I almost never eat it for breakfast but rather as a late night snack or lazy dinner. I especially love granola. 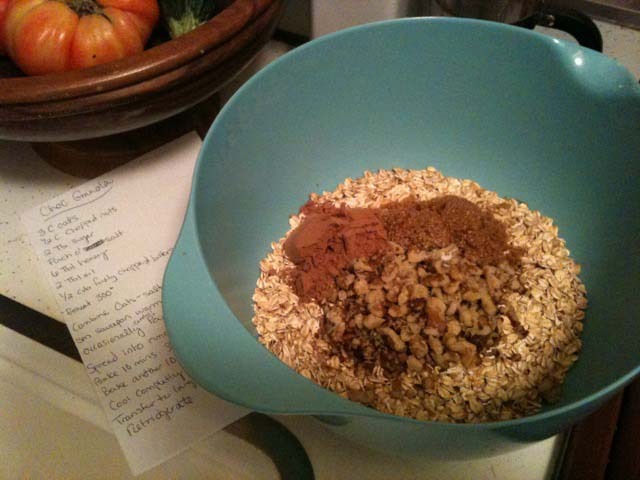 I try to only buy healthy cereals and make my own granola. But I have to admit that I still have a weakness for the sugary kid’s stuff. I am always on the search for a cereal that is sweet yet still on the healthy side. So when I saw Kenzie’s blog about chocolate granola I HAD to try it! 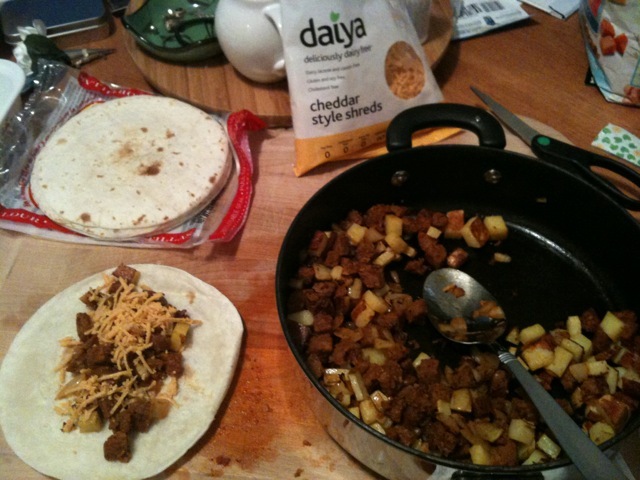 I made a an altered version but that is what’s great about cooking, you can get creative and use what you have on hand. 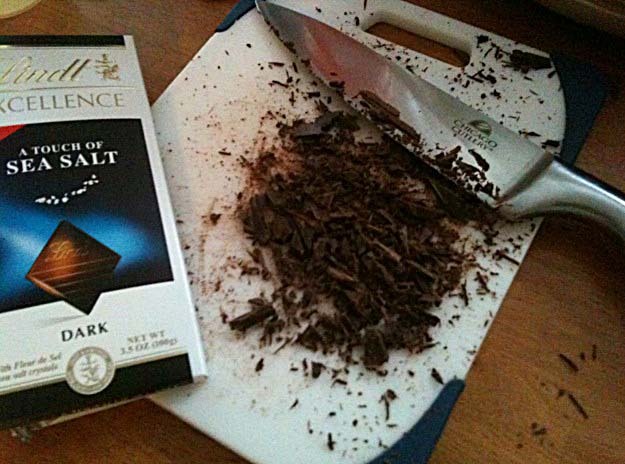 I had a new Lindt dark chocolate bar with fleor de sal (fancy sea salt) and used that. Wow that is really good chocolate. The salt adds such a nice touch. 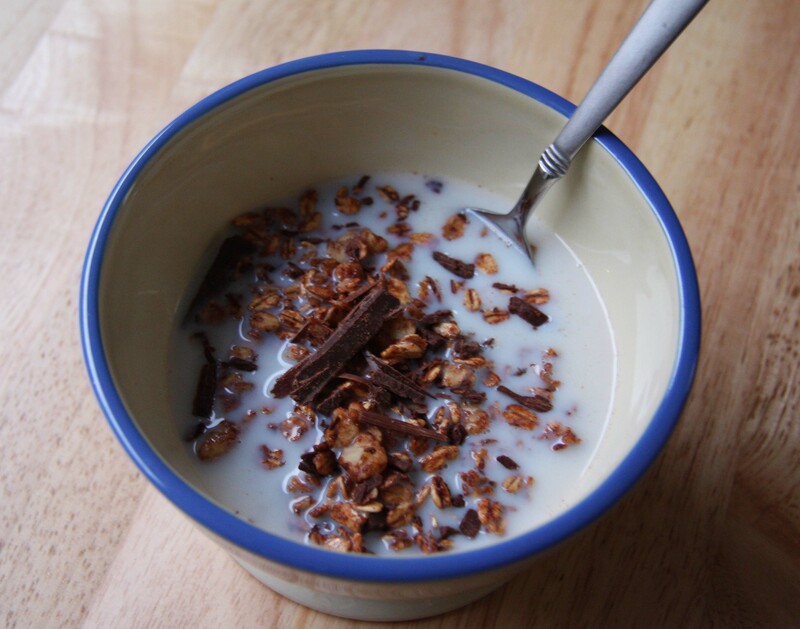 It was a perfect companion to the granola. Result: Wow so delicious. Rich, indulgent, my perfect nighttime snack. Wow I have not blogged in so long. As many of you know we recently moved to Chicago. I have been so busy packing, moving, unpacking, job searching, starting new job that I have not had the energy to blog. Our move has been nothing short of amazing. We are in LOVE. The location, the city, the people, the energy is all kind of magical while still feeling totally right. Its home. I started working at a museum and its a dream come true. 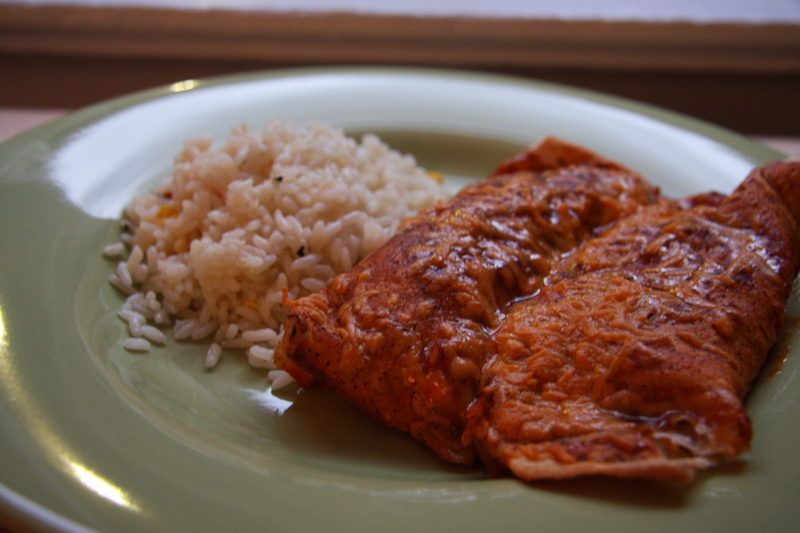 I am really inspired to create and photograph and cook. I have 7 beautiful, big windows that fill the apartment with light so I am excited to get back to photographing food again. Hopefully I will back in blog mode soon. Here is a short lunch post for now. 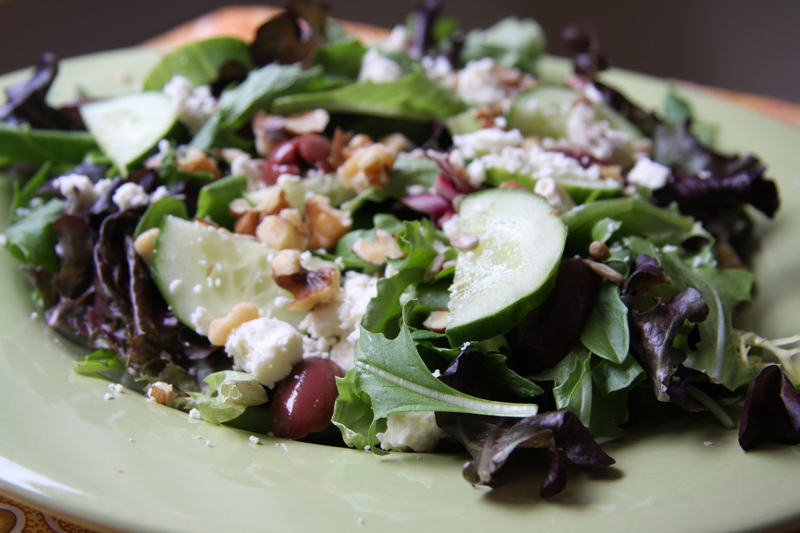 Todays lunch: Organic mixed baby greens topped with feta, cucumber, kalamata olives, walnuts, sunflower seeds, and Raspberry vinaigrette.